Dr Willie MacEachen qualified in 1981 from the University of Edinburgh having also completed a student elective study period in Paris. Upon qualification, he was commissioned into the British Army as a Dental Officer in the Royal Army Dental Corps. During his time in the Regular Army, he worked in the South of England, Germany and Northern Ireland before returning to Scotland. Willie took over the practice in 1988 and established it as Polwarth Dental Clinic. He regularly attends postgraduate training sessions in both the UK and abroad to enable him to utilise the most up to date methods and techniques to enable patients to receive the most updated and modern treatment. A family man with five daughters he has interests in rugby, films, clay-pigeon shooting, and sailing as well as military and railway history. He also still serves as a Lieutenant Colonel in 205 (Scottish) Field Hospital, Army Reserves and has served in Saudi Arabia, Kuwait and Iraq in the first and second Gulf Wars as well as in Bosnia. 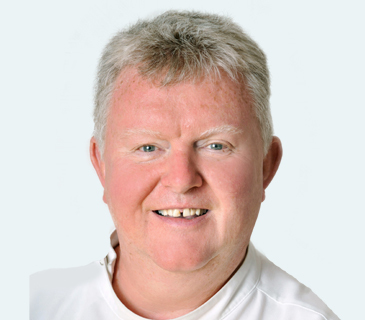 Willie has a wealth of experience in dealing with anxious and nervous patients and wants to make sure that all of his patients have the best experience when visiting Polwarth Dental Clinic. He prides himself on being able to put patients at ease and getting the best understanding of what it is you are looking to achieve with your smile.